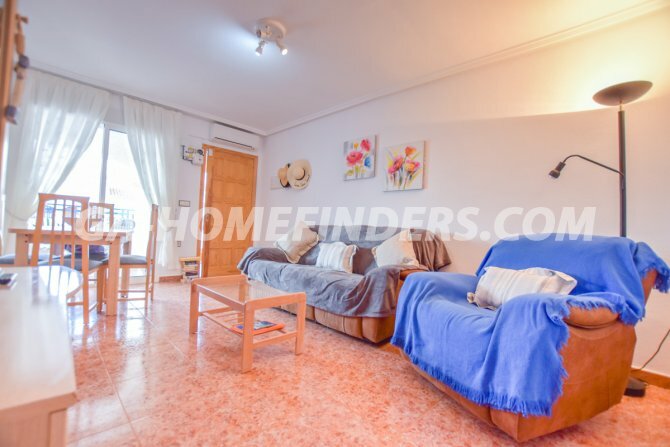 Furnished apartment on the top floor, has two bedrooms both of which have fitted wardrobes, and a bathroom. 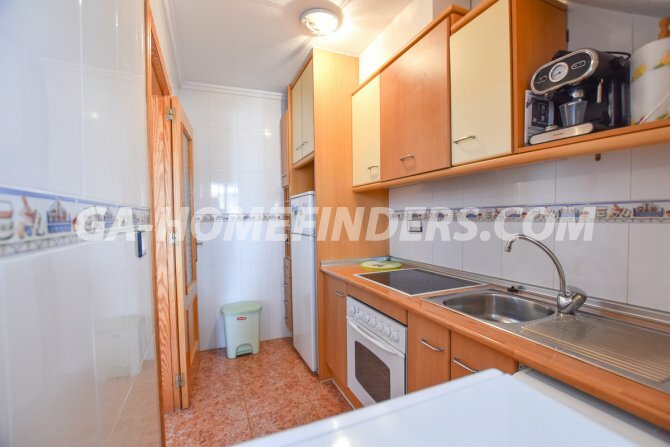 There is a living room and separate kitchen with all the white appliances. 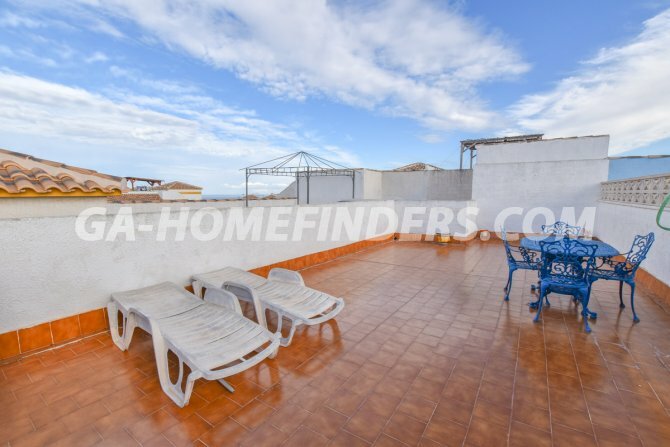 It has a small terrace, and a large solarium with wonderful views of the Alicante coast. 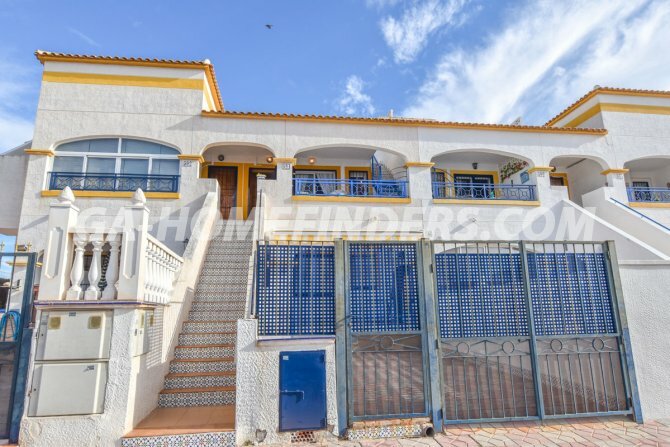 All the windows have grills and shutters. 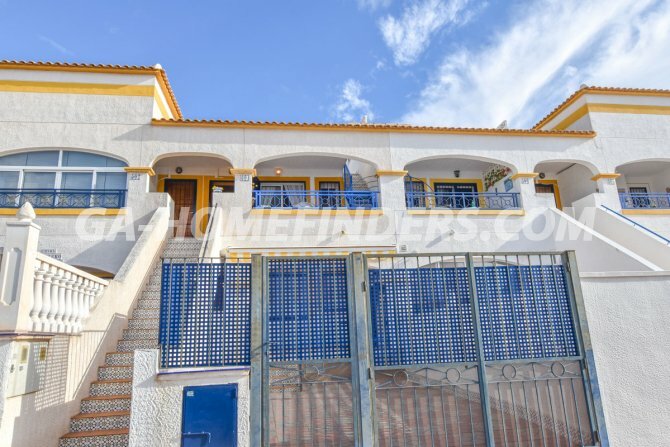 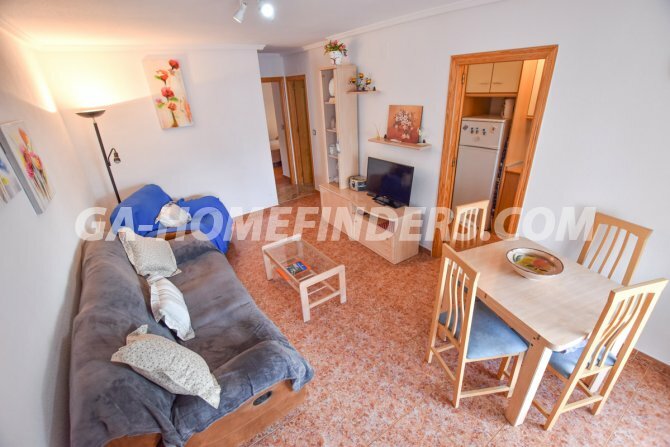 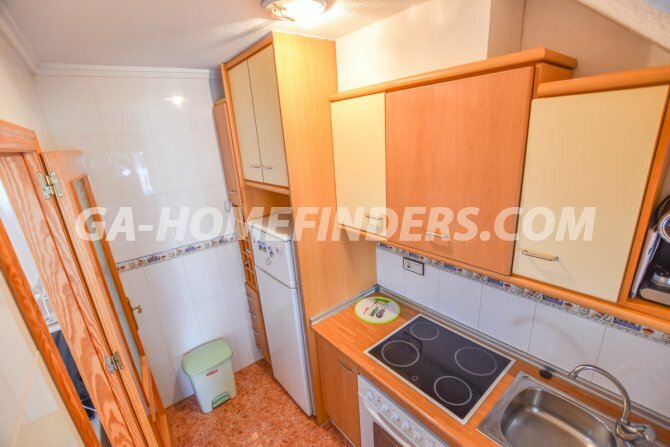 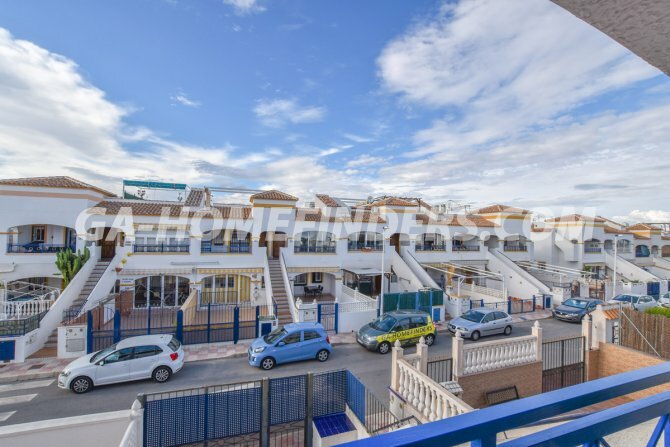 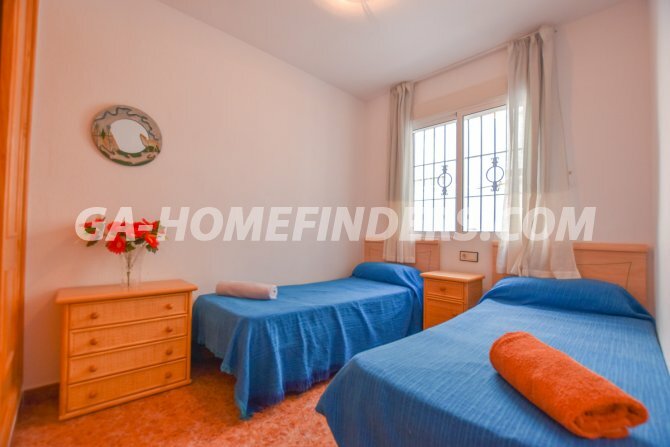 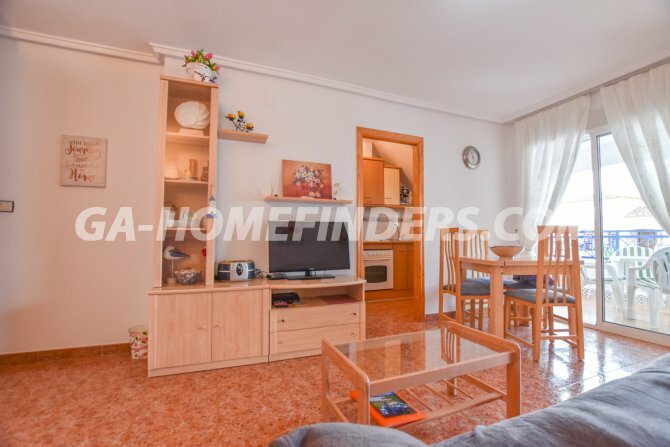 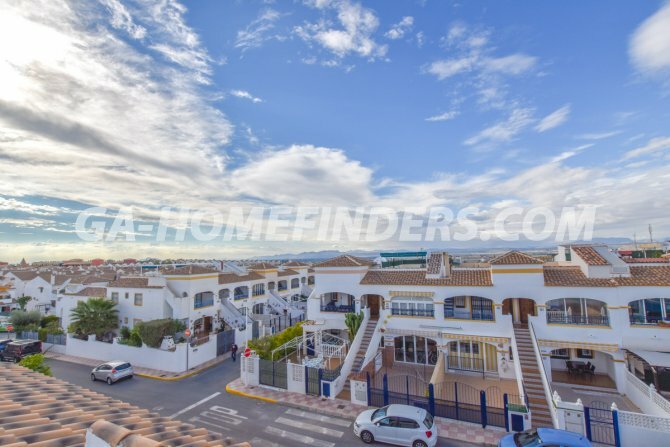 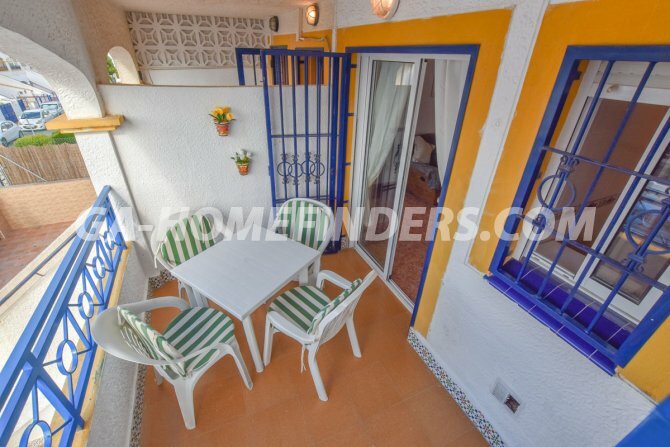 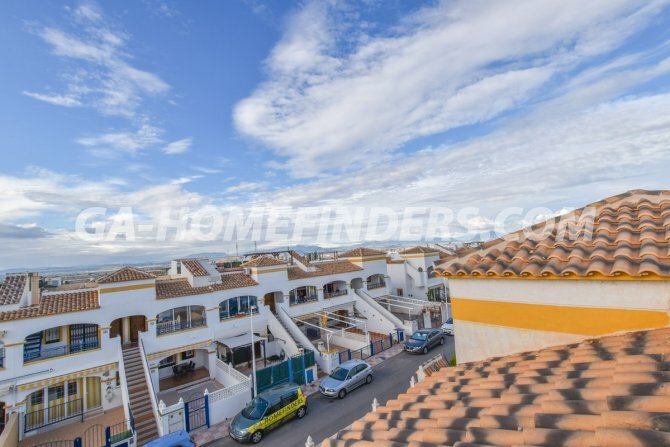 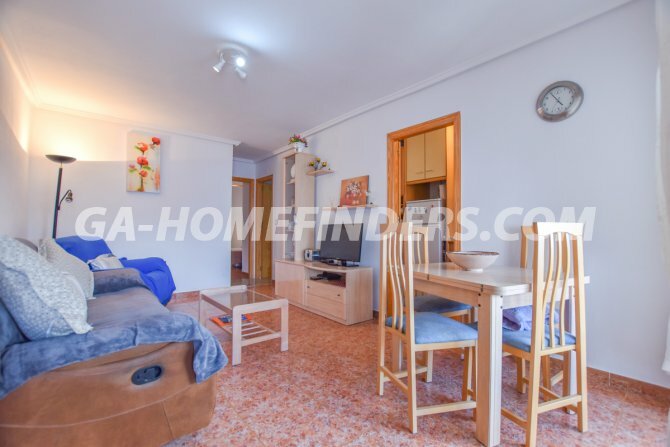 It is located in the upper part of Gran Alacant close to bars, restaurants, the health centre and public transport ( bus and road train) and just a couple of minutes walk away from the popular Thursday morning market. 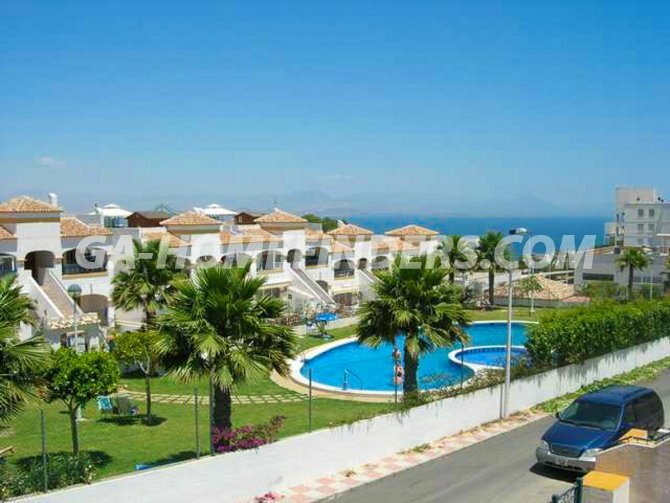 The urbanisation is gated, and has three community pools with large green areas..